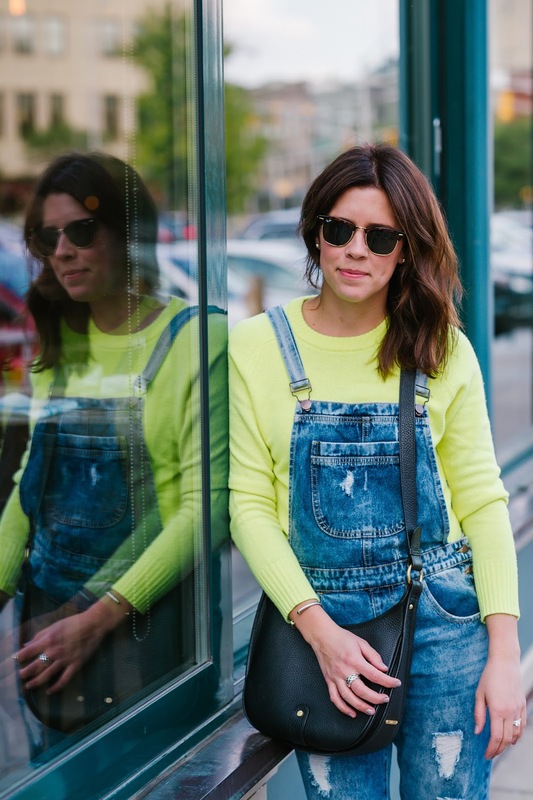 I love these overalls because they're super versatile (and they were less than $40). 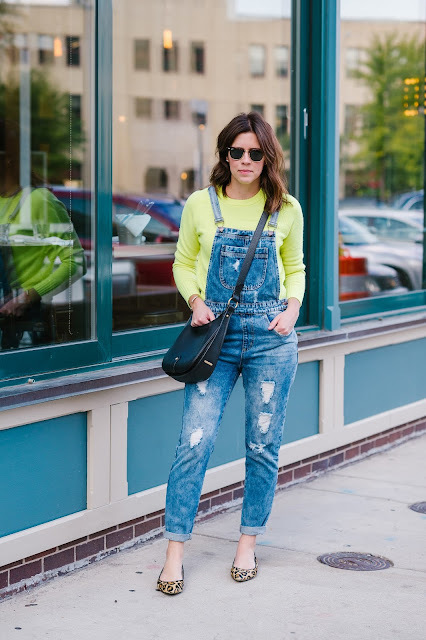 The distressed details give them a casual vibe, while the slightly more fitted leg and hip makes me feel a liiitle less sloppy walking around in a pair of overalls. 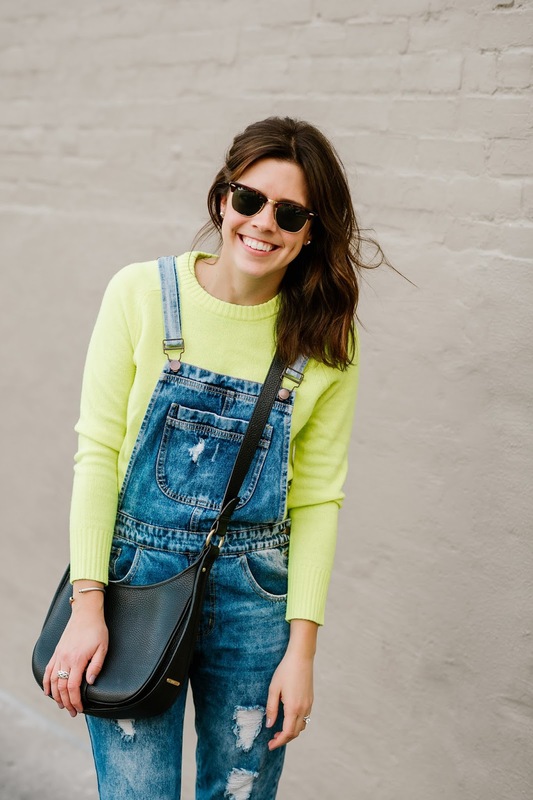 I wore them with light tees toward the end of the summer, but have also really enjoyed layering them up with scarves and sweaters this fall. 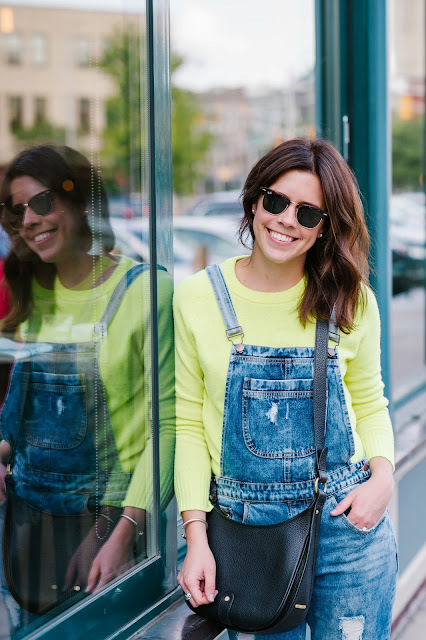 This is such an easy look to throw on while running errands or meeting friends for a quick lunch. 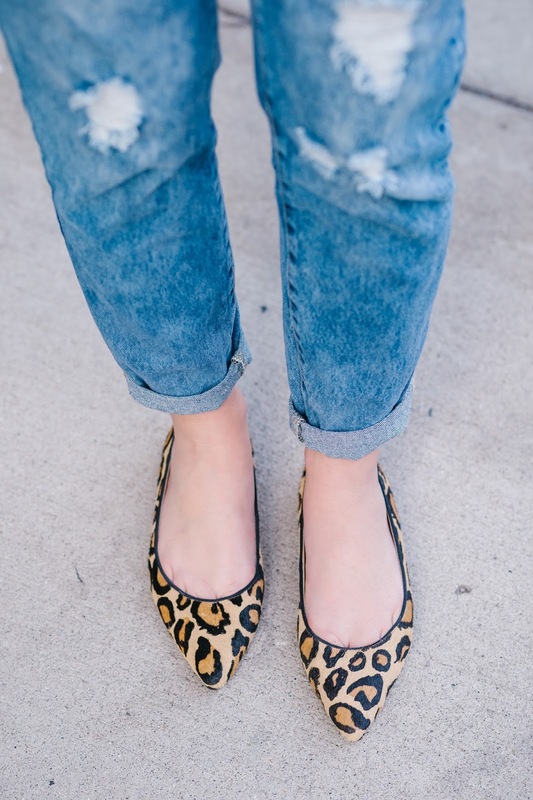 (I've linked the exact same pair down below -- I bought the "dark denim" in a size 27). And just because we're on the topic of my favorite things this fall, these Sam Edelman pointed-toe leopard flats have also been on repeat. I purchased a very similar Ivanka Trump style a few years ago and had SO much trouble finding a good replacement once my old ones got too worn down to wear. Or at least, to not feel a tiny bit embarrassed wearing (seriously, the toes on my old pair super scuffed and the tiny heel is non-existent). I ordered my size and a half size up, and opted to stay with my original size. They were a bit tight at first, but they have stretched out and are comfortable to wear all day. I'm happy I didn't size up (but have a few band-aids handy for the first couple of wears). What are some of your favorite pieces this fall? !